Blog | Parametricsolution - CAD / CAM / FEA / CNC / HVAC / MEP Training Institute in Thane, Mumbai, India.Parametricsolution – CAD / CAM / FEA / CNC / HVAC / MEP Training Institute in Thane, Mumbai, India. | Parametricsolution – CAD / CAM / FEA / CNC / HVAC / MEP in Thane, Mumbai, India. It is our pleasure to empower yourself. Read News later from Prime Investment. I followed 5 Personal Finance Habits That Will Make You Rich. Please like & Subscibe for more video in future will get notification. Our mission is to spread CNC skill India. Create wealth in your life. TAGMA India established in 1990 serves as a forum for the Indian Tool Room & Die and Mould Industry whose activity involves design, sales or manufacture of dies for pressing, stamping, punching and forming; injection and compression moulds; die casting dies; patterns and pattern equipment; jigs and fixtures; standard tooling components; CAD/CAM / CNC ; rapid prototyping; gauges; precision machining; special machines and related products. Read on to learn what a CNC programmer does. See what kind of education and training are required for the job. Get the details about career prospects and earning potential to decide if this job is for you. A CNC programmer, named after the computer numerically controlled machines they create programs for, are also called numerical tool and process control programmers. CNC programmers develop and run programs which direct the CNC machines to cut and shape metal or plastic for such things as airplanes, automobiles and other industrial machines. CNC programmers generally produce large numbers of one part before moving on to another order, and occasionally they will produce smaller lots or single items. CNC programmers use blueprints and 3-dimensional computer designs to create the programs which result in precisely cut products. When you look at a conventional building and determine what consumes energy the most, you point to the Heating, ventilation and air conditioning (HVACs). A building needs constant supply of fresh air and heat management and that´s what an HVAC provides. The systems, however, are energy guzzlers. Now, societies like Indian society of Heating, Refrigeration and Air Conditioning Engineers (ISHRAE) and Indian Green Building Council (IGBC), with whom ISHRAE has an MoU, are trying to revive India’s eco-friendly legacy, so intrinsic to its ancestors, while adopting energy-efficient systems that are both affordable and aesthetic. Nirmal Ram, National President, ISHRAE, shares more on emerging trends, standards and codes with SHRIYAL SETHUMADHAVAN…. While most developed countries are adopting energy-efficiency in HVAC equipment and systems, what is the trend in emerging economies, especially India? 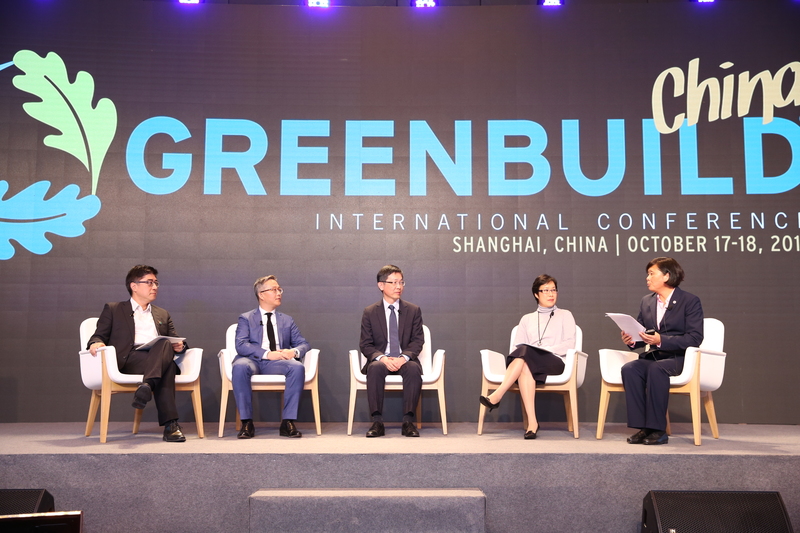 Emerging economies consider energy-efficiency seriously and the number of registrations for green buildings is an example. It is heartening to note that many follow energy-efficiency measures in their buildings even without going for green certification. The day is not far when a developing country like India will march from energy-efficient buildings to net-zero and net-positive buildings. Moreover, one energy saved is two units produced. As HVAC equipment forms a major source of power consumption, the HVAC fraternity plays a crucial role. HVAC engineers work in tandem with architects in locating the building with reference to the compass point and do the simulation. In fact, engineers are practicing architecture and architects practice engineering! Saving is only a relative term and the sky is the limit. ISHRAE, along with the Refrigeration and Air-Conditioning Manufacturers Association (RAMA), had taken up the mantle of developing standards for testing and rating equipment based on Indian ambient conditions. What has been the progress on this? The final version is with the Bureau of Indian Standards and adoption may happen during the early part of this year. ISHRAE will release this as a guideline soon. This standard is totally tropicalised for the Indian weather and conditions and will ensure a uniform platform for comparison of the performance among all manufacturers. How do you view the current building and construction sectors in India? What impact will the growth scenario of this sector have on the country´s HVAC market? The scenario is positive and upbeat. India will attract many investments locally and from the international market as well. Many cities are experiencing commencement of new projects; Bengaluru is poised for growth in the residential and commercial sectors. All these require energy-efficient HVAC products and systems. HVAC is seen as a nation-building industry and it is next to impossible to witness an application without HVAC. 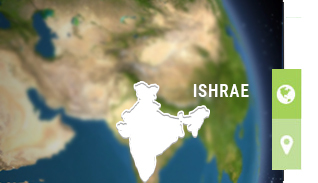 What is ISHRAE´s contribution towards achieving the net-zero footprint for India? With programmes such as seminars, workshops, conferences and panel discussions, ISHRAE disseminates knowledge through its 39 chapters across the country. Smart buildings may be talked about now but building automation with particular reference to HVAC has been in the marketplace for over two decades. The smart home concept is also being discussed now and smart cities are a welcome sign – they are a combination of smart homes and smart buildings. What role can state governments play to ensure that the energy usage of a building is kept within achievable maximum limits? Any system created has to be user-friendly and adapted for Indian conditions. Societies like ISHRAE can only work with the government to find the right solutions. ISHRAE works closely with various government organisations like Bureau of Energy Efficiency (BEE), Energy Conservation Building Code (ECBC) and National Building Code (NBC) and with other stakeholders in forming standards or guidelines so energy usage is kept at bay and energy-efficiency measures are practised. ISHRAE works with societies across the globe such as American Society of Heating, Refrigerating and Air-Conditioning Engineers (ASHRAE), Charter Institution of Building Services Engineers (CIBSE), Federation of European Heating, Ventilation and Air Conditioning Associations (REHVA), etc, and we have MoUs signed with them for various knowledge-sharing activities. BEE has issued ECBC to improve the energy performance of buildings. However, recent reports reveal that the use of the code in design is not linked to the actual performance of the building after it has been commissioned. How can this issue be resolved? Yes, this is an issue. Energy-efficiency should not be on paper but has to be practised and accomplished. This can be done only with the dissemination of knowledge and practising the concept of certification. ISHRAE is working on the modules culminating in certification of professionals on installation, commissioning and service along with safety. This will pave the way for all stakeholders to practise and ensure that actual performance is in line with the design. At present, what are the challenges in the HVAC sector – from supply to skill upgrade? Where is the gap and how can the sector overcome this? Skills are scarce. Dissemination of knowledge is the only answer and this is the main objective of ISHRAE. We work closely with various associations and societies with similar objectives. Our certification programmes will develop manpower of greater skill. ISHRAE has over 6,000 students as members through student programmes and through K12 activities is nurturing them through STEM to pursue HVAC and other related professions. This will definitely mitigate this serious issue over time. What would it take for the HVAC sector to reach greater heights? Many have started practising the lifecycle cost analysis as against L1 (lower first cost) and this will help develop a sustainable India. Everyone talks about energy saving and as HVAC has a bigger role to play in this, the industry is sure to attain greater heights! Company Name: Parametric Solutions Pvt. Ltd.
We would like to inform you that, for the first time, US Green Building Council (USGBC) is organizing the world’s largest green building conference, the Greenbuild International Conference & Expo in Mumbai from 2 – 5 Nov 2017 at Bombay Exhibition Centre, Mumbai. 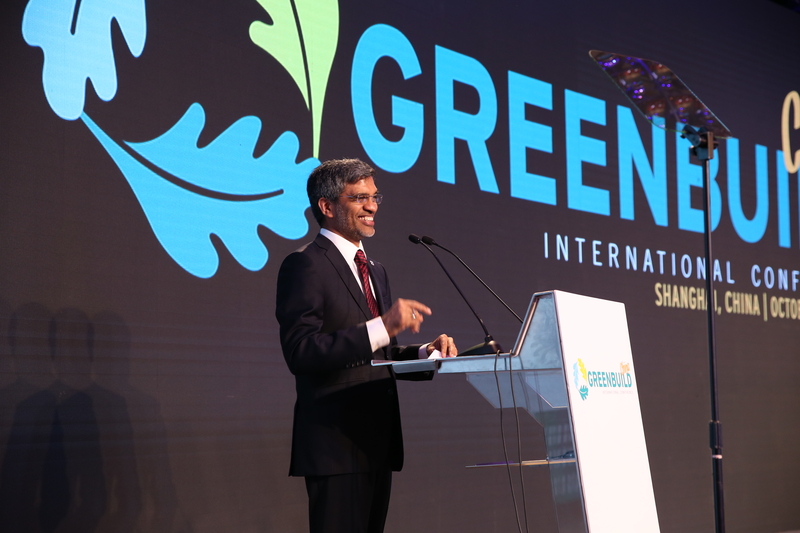 Greenbuild India 2017, Mumbai will feature a two-day conference (2 – 3 Nov’17) and four-day exhibition (2 – 5 Nov’17). 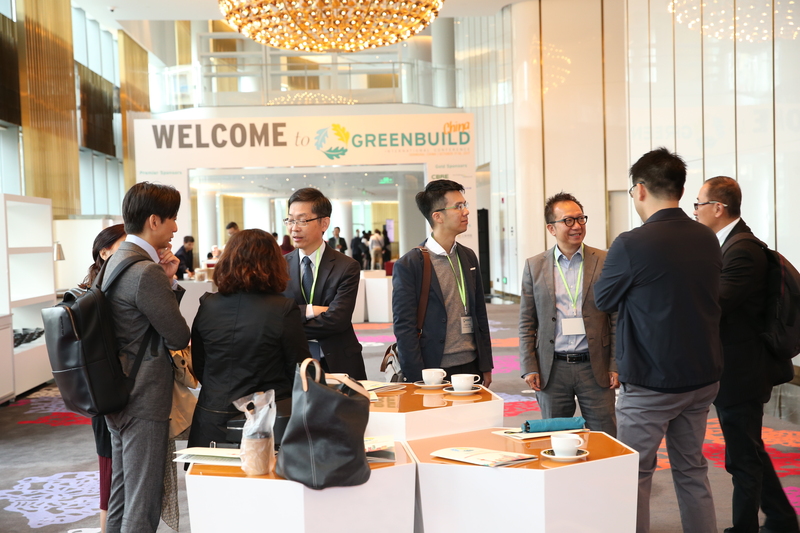 Greenbuild India will feature four groundbreaking days of inspiring speakers, invaluable networking opportunities, industry showcases, workshops and tours of the host city’s green buildings. Join hundreds of others who agree that green building is a good idea and good for business. We are sure, this will be an excellent platform to keep abreast on the latest technological advances and exploring newer business opportunities. I would request you to kindly participate and nominate officials to attend Greenbuild India. The necessary registration form is attached for your reference. USGBC is offering a special discount on the delegate fee for ISHRAE members (Rs.6,800/- + tax), please send us the filled-in form to Mr D Suresh dsuresh@gbci.orgto register the nominations. To more details on Greenbuild India kindly go through the appended e-flyer. Look forward to your participation and nominations and support to the success of Greenbuild India. Visit for various HVAC, MEP, Fire Fighting, CAD, CAM, & CNC course Education for LIFE.